Looking for a Spring getaway with your favorite vegan? Join fellow vegan travelers to sail the Caribbean and celebrate the 10-year anniversary of Holistic Holiday at Sea! The cruise is co-sponsored by VegNews Magazine. Call 800-496-0989 with dietary questions and 866-601-1923 to register. Mention you’re from the Yummy Plants community to get $50 of on-board credit towards bookstore purchases and/ or private consultations! Holiday at Sea – The 10-Year Anniversary Cruise is a week long cruise designed to promote health, education, and most importantly, relaxation. The vegan vacation features lectures and workshops presented by some of leading vegan researchers, chefs, and yoga experts. This vegan cruise is a fabulous opportunity for travelers already following a plant-based diet, and those who are interested in learning more about a vegan and macrobiotic lifestyle. The trip will take place from March 2 – 9, 2013 with stops in Falmouth, Jamaica, Georgetown, Grand Cayman, Cozumel, Meixco, and the Isla de Roatan, Honduras. Guests will enjoy orgeous scenery, fabulous company, and gourmet dining with specially prepared vegan foods and beverages. Caldwell B. Esselstyn Jr. M.D., researcher and early leader in cardio-vascular medicine and plant-based diets. Author of Prevent and Reverse Heart Disease, he is also known for recommending a plant-based diet to former President Bill Clinton. Dr. T. Colin Campbell, Cornell faculty member, research scientist, and author of The China Study. Dr. Neal Barnard, President of the Physicians Committee for Responsible Medicine, best selling author, and leading vegan advocate. Colleen Patrick-Goudreau, Vegan chef and award-winning author of five best selling books including The Joy of Vegan Baking. The aim of the vegan cruise is complete health – in all aspects of our lives. The lectures and activities encompass fitness, fun, and food. There are daily yoga sessions, pilates classes, concerts, parties, and vegan social events to meet like-minded people and make friends. The social activities range from family events to singles’ mixers. Click here to watch a video recap of the decades of cruises, and hear participants’ comments about the Holistic Holiday at Sea. The cruise menu is 100% vegan and has daily gluten-free options. The Holistic Holiday at Sea team is also able to work with guests who have special dietary needs. This cruise is designed to be a worry-free vacation for people following a vegan diet or other special plant-based diets like raw, nut-free, and soy-free. If you have special dietary needs, please call 800-496-0989 to discuss with the team at the Holistic Holiday at Sea. 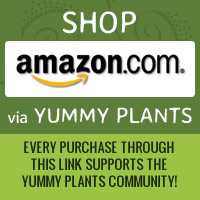 Remember to say that you’re from the Yummy Plants community when you make your reservation to get a $50 on-board credit for bookstore purchases and or private consultations. We hope to meet you on the vegan cruise!